Persecution of nuns getting to be a new episcopal hobby? French Novus Ordo nuns get the FFI treatment. – What's Up With Francis-Church? Persecution of nuns getting to be a new episcopal hobby? 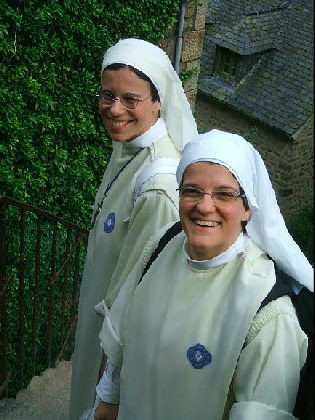 French Novus Ordo nuns get the FFI treatment. What do you think? Suspicious looking characters, right? As I’m sure we all know, there’s nothing a bully likes more than an easy target. And if you’ve been in the Catholic Church more than five minutes you will understand how bishops are affected by the Vatican’s fine example. These days, it seems if you are a canonically recognised religious community who wants to have things even a little bit more traditional, you can run, but apparently you cannot hide. Especially if your bishop is broke and you own a lot of property. Something the Petites Sœurs de Marie Mère du Rédempteur are finding out these days. In February, Riposte Catholique published a circular letter from the sisters to their friends, saying that the were being “persecuted” in a way similar to that of the Vatican’s treatment of the Franciscans of the Immaculate. The case is complex, but bears many points in common with the way the Vatican’s Congregation for Religious is dealing with those communities whom the progressive “New Paradigm”ists consider recalcitrants. Taking a closer look might give some insight into what other communities might expect if they dare to stand up for the integrity of their own charisms. It is also noteworthy that this community is emphatically not “Traditional,” but merely what we used to call “conservative”. Their lay association (on Facebook here), start the discussion with a declaration of the sisters’ being “totally in line” with the “conciliar directions” of the Church since Vatican II; we see again that the comfortable “conservative” middle ground, the “reasonable compromise” of JPII-era Catholic conservatism, has evaporated. 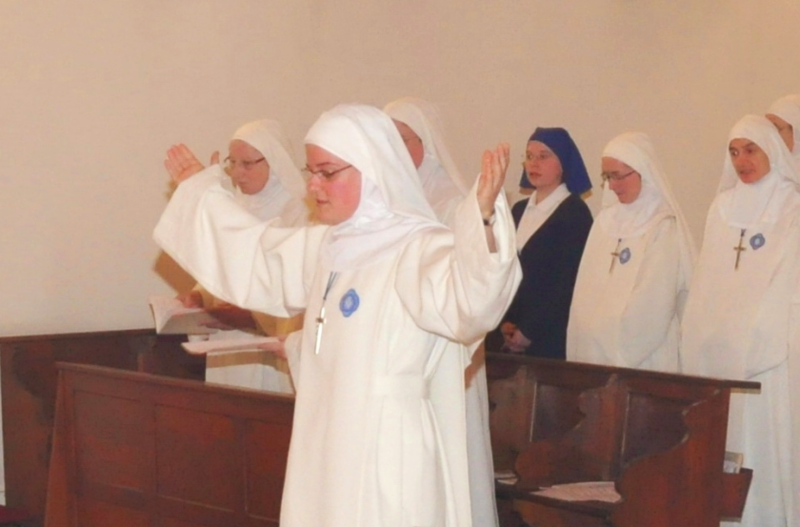 This little community of novus ordo sisters – there are now 37 of them – were founded in France in 1949, “dedicated to supporting priests, parishes and families” and the pursuit of the sanctification of the members of the community. They work in parishes doing lay formation and looking after old people in four nursing homes. The community is based in the diocese of Laval and has a presence in neighbouring archdiocese of Toulouse. Apparently, like Bergoglio, the bishop gets “worried” when a tradition-minded religious order starts getting too many young eager and faithful vocations and becomes well loved by the laity. In this case the bishop’s response to this “worry” was to delate his own sisters to Rome. The result of this delation was that the Congregation “suspended the Council of the Congregation and sent the Superior General and the Mistress of Novices into exile to distant monasteries for an indefinite period.” This left three apostolic commissioners, appointed by Rome, in charge of the congregation. An appeal by the sisters for a new canonical investigation was refused by the Congregation. …and Sr. Geneviève Médevielle, of the Auxiliatrices des Souls du Purgatoire and honourary professor of philosophy and theology at the Catholic Institute of Paris. We can perhaps predict her opinions about the remaining Tradition-minded Catholics, including sisters, by reading her appraisal of Amoris Laetitia. To want to oppose the doctrinal to the pastoral as some currents have done with regard to the Second Vatican Council, is to expose oneself to reducing both doctrine and pastoral work. The doctrine is then reduced to abstract formulas without taking into account the actual spiritual experience of Christ in the Church. Pastoral care, on the other hand, is reduced to normative practices that do not involve the mystery. In Amoris laetitia, the doctrine is omnipresent in the form of reminders of the tradition in matters of family and conjugal morality , it is incarnated in the necessities of the moment starting from a capital importance of the discernment animated by the meditation of the Scripture. But if we consider the situation of cohabitation in its complexity, its temporality within a given culture taking into account the singularity and evolution of the cohabitants, it appears that there are many ways of living situations of cohabitation. One can understand then that they do not carry the same moral weight and do not lead to the same consequences according to the circumstances in which they live and according to the own motivations of the cohabitants. The clear denial of a long-term commitment is not like a cohabitation-step to get to know each other better or to make sure before a definitive commitment. If time is given priority over space as Pope Francis says, a cohabitation that the moral tradition describes as ‘objective situation of sin’ can be discerned as a ‘step in a route.’ This stage is marked by an incompleteness in relation to the good news of the Christian marriage, even tainted by a situation of sin according to the intentions of one or the other of the cohabitants. But in a thought that takes into account the temporality and unheard-of action of God, we can see this cohabitation as a ‘stage’ always open to grace and its deployment. Nobody is so fixed in a state or a situation. Every situation is open to the hope and transformative power of grace over time. 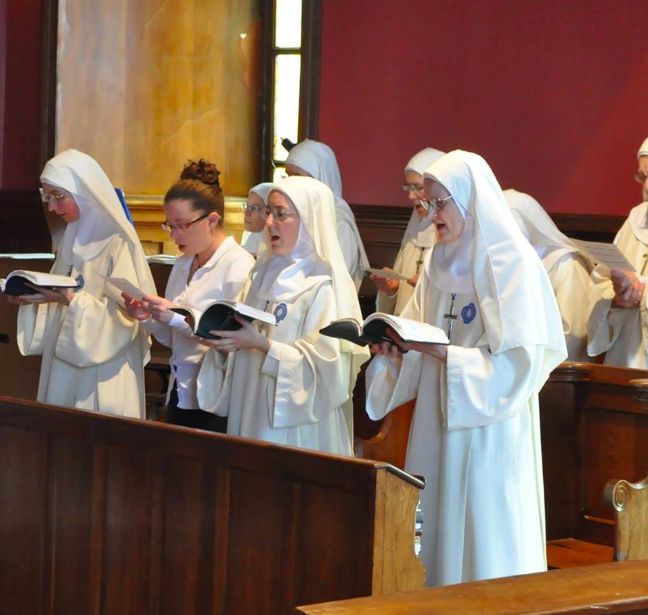 The sisters write that the new superiors that have been forced on the community by Rome “have the mission to make us reflect and evolve on how we embody the charism and live our religious life,” without themselves having any knowledge of what that charism is. “Too often in the history of the institutes, this type of measure has resulted in splits, departures, orientations taken that distort the charism clean to put it to the taste of the world under cover. disastrous report of canonical visit, without asking any questions, even as three sisters of our institute have put themselves at his service and that of his mother, besides, for nine years, and especially, while all the sisters gathered to hear the said report urged immediately (but without success) a contradictory exchange with him,” the sisters continued. I’ll try to keep track of this situation. I’ve signed up for their news updates. Meanwhile, those interested can sign a petition to the bishop to … well, I guess just leave them alone. Hilary White is an Anglo-Canadian, who started researching, writing and lobbying in the political end of the pro-life movement in 1999, moved to Rome in 2008 and covered Vatican and European news related to "life and family issues" from a Catholic perspective until May 2015. She lived for two blessed years with her three cats and garden in the Peaceable Kingdom of Norcia, in Umbria, until the terrible day when the world fell down. Now transferred to a farm house near Perugia, with a bit of land and a large tomato patch, she continues to chant Vespers in Latin every day, and refuses to go to Rome for any reason whatsoever. She hopes the world does not end before she can get the last of the tomatoes in.